TV, Beauty and the Beach & Me! Beauty & The Beach YOU can do in just minutes! It is that wonderful time of year…TAN safely without the sun. OR at least keep yourself protected. This week on TV I shared these tips. Hope you enjoy them too! Get your glow on safely with daily skin protection and sunscreen. Image (this is a brand) is what the spa professionals & plastic surgeons recommend. They have a sunscreen #50 IF you are looking for the ultimate protection. Protect your lips.too…Wear a lip conditioner. Lots of these tips are not just for girls they include guys and CHILDREN TOO. Keep hydrated from the inside out...drink plenty of water. I LOVE plain water,sparkling water or All Beauty Water.Your skin will drink it in! New on the market is Selfie (That is the name of the brand)Sunless Tan Spray or lotions that can give you a TAN in two hours! They even have a sunless tanner for your FACE. A powder bronzing blush can be your go to for a sun kissed look as a blush,eye shadow and as a eyeliner.You can even brush some on your decollete. 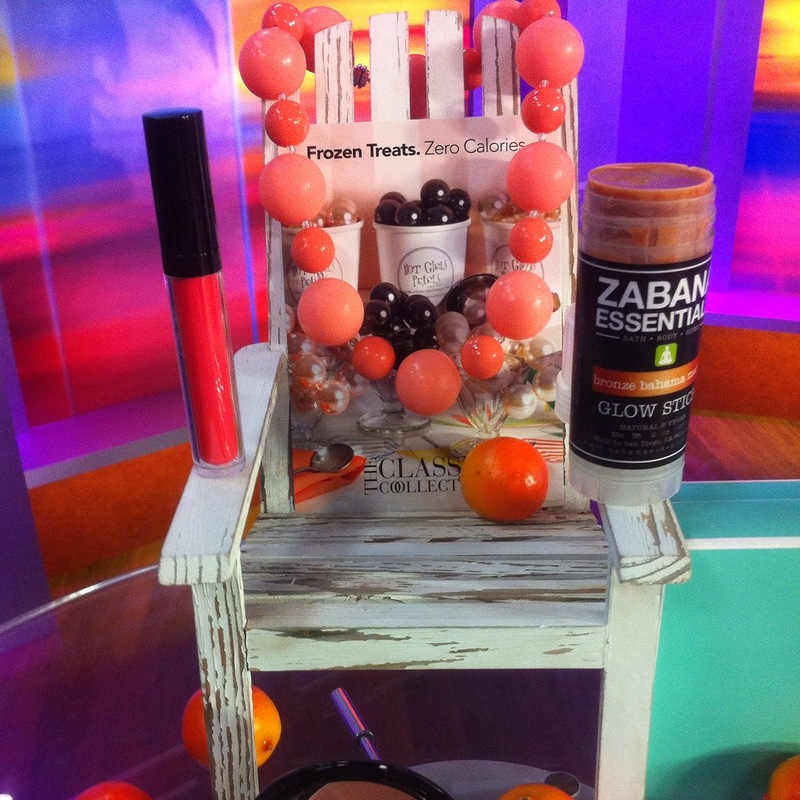 Keep COOL in scorching heat with your jewels…Hot Girls Pearls has added a new it shade for the summer in a scrumptious coral add then add a coral/orange/tangerine lipstick or lip gloss to your look and you’ll own the beach or pool party with your look.Beyonce is LIVING in these beautiful hues! You gotta see this jewelry to believe it. You actually FREEZE them in the freezer before wearing. Apply Zabana Essentials Glow Stick in Bronze Bahama Mama on your face, across your shoulders,down your arms or legs.Your skin will glisten and you’ll look like a gold goddess~ Vegan, cruelty free! These two companies are awesome small business owners!!! Click on the left for The Chat. FABULOUS Holiday Gift Ideas Santa may not even know about! I am about to feature this Holiday GIFT Guide List on TV on a daytime talk show called THE CHAT. So,I had to share these ideas with you. It is hard to shop and buy gifts! Its WORK! But read on as I have searched the country for some unique chic and on the cheap gift ideas to rock their world and make you look like a rock star. While you’re at it you may just want to shop and treat yourself to a gift too! CHI’S NEW Air Expert ceramic Hairstyling Iron is the bomb when it comes to the modern-day smoothing and curling world. I love their MINI units but this is amazing. · CHI NEW World’s First Touch Screen hair dryer a limited edition in Hot Pink it will dry your hair faster and the color alone will put you in a good mood when you use it!!! Toss The Gloss a beautiful beauty book for women who have arrived. Arrived to 50 years young plus. The savvy author Andrea Q Robinson has some wonderful beauty tips,tricks and truths for women you gotta read. (No matter what your age)Andrea is the ultimate beauty industry insider.Books are the perfect gifts! There’s a new pearl on the block named after Constance Sherman CCO Chief Cooling Officer! Hot Girls Pearls has NEW pearl bracelets along with necklaces for the holiday.Read on and get your or her cool on. These pearls are beautiful with beautiful benefits!!! *They have some amazing deals and pearls on Amazon too. If you want to place and order for these pearls you’ll get a special discount for my TV viewers and readers of my blog type in code THE CHAT. Bulu Box: A Monthly Subscription to a health,nutrition and weightloss.com samplers for the health enthusiast in your life! After filling out a client profile you will receive a custom kit JUST FOR YOU AND one that is all about staying healthy too.Explore the possibilities! For the wine lover how about giving a bottle of good for his health wine like Handsome Devil from the liquor store will keep him healthier and more! 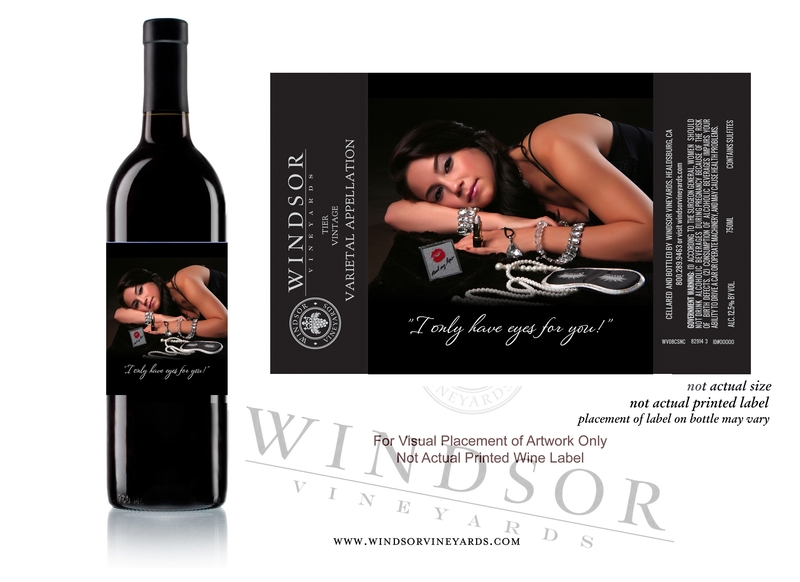 Or CUSTOM order WINE by Windsor Vineyards free custom labels. Create your own label and pick your own wine and have a good time.Your gift will be sublime. The icing on the cake… Gifts For Her! Pretty Please is another woman owned beautiful company that has an awesome line of nail polish. What makes them so special? YOU create the name of the polish after you pick a few fabulous shades.Or they can help you create a name with a little input from you. So, fun. The polish glides on and applies like dream.26 shades to choose from and they are gorgeous! *Lucky you they are offering another TV viewer of my segment and my blog. Hunks & Hounds calendar for a good cause… Animal Rescue . Photographer Mike Ruiz of New York has a photographic eye that will make the ladies DELIGHT and cry! THIS calendar is A MUST HAVE and of course great gift idea to give! Here are some tips to make you feel a little better and to look beautiful. I hope you enjoy them and will use them. Your skin will go through many changes. Take time for a quick shopping trip to update your beauty regime.Use a skin care regime that is more hydrating.Chemo and other treatments will make your skin drier. Even if you are not a lipstick,lip gloss or lip balm girl …you will definitely NEED something on your lips to keep them moisturized. Be READY for kissing and look better too. There is NOTHING like a little color on your face. Some days you may not feel like it and must simply stay in bed but the times you feel up to it… It can be as simple as 1,2,3. You don’t have to use foundation. Use a tinted moisturizer.Perk up your eyes with a little eyeshadow or eyeliner.Add some blush to your face. Forehead,cheeks and chin.If you want the feel of mascara…use CLEAR mascara. TREAT YOURSELF to something like a luscious pink nail polish like OPI’s MOD FOR YOU! Use an organic/vegan body lotion or hand cream that makes you feel pretty,smells YUMMY and makes you feel good.If you are not into much fragrance at this time use a fragrance free one or even olive oil or coconut oil will do the trick. Oh the many moods and ways your body will change.If you are always HOT. I have been hot flashing since I was 5 years old. I am almost always HOT. Try HOT GIRLS PEARLS to keep your body cooler.These beautiful gems around your neck or on your wrists will feel cool and refreshing. So cool I even wear them to the beach for a stroll to keep cool. Get a mammogram if you are of age or your doctor recommended.Preventative maintence makes you prettier and live longer. Just a reminder MEN get breast cancer too.Remind him to go for a check-up! Stand Tall and Shop Small this season! I am happy to say I am on WJXT4-TV this Thanksgiving day with my beauty & lifestyle segment and I am so proud of the business owners in Jacksonville and all over the country. Being a small business owner is tough. I am one of them too.Owning a business is not as glamourous as it looks! We work LONG HOURS and very HARD. When you are sleeping we are working,unpacking,wrapping,cleaning,shipping,stocking shelves,making calls,sending emails,worrying about our next retail day! Why do we do it? We do it because we LOVE what we do.We do it for YOU! These products make great gift ideas and are truly unique!Magna Ready Shirts A fashion designer who filled a NEED for her husband’s health dilemma with an Oxford classic shirt that closes not with the buttons but with the magic of magnets.A gift of healthy fashion. THE answer to people with disabilities prayer. I Rest My Case pillowcases say so much without speaking. Just looking at them and lying on one of these cotton pillow cases designs will turn you into a sleeping beauty.The BONUS not only are they made of the most luxurious cotton they have beautiful bible verses on them.You’ll love the ones for children too. HOT Girls Pearls A chic and cool invention by a woman of course has gone all glammed up with their evening collection.You FREEZE them before wearing them. I am hot by nature and this is not only for people who are hot flashing.Great for a day at the beach,a night on the town, when you are under the weather and just for fun.Chilled serenity around your neck.They have a NEW BLING collection too. everyone on your list.Christmas ornaments MADE special for you with adorable sayings or personalized for you. Other adorable ornaments to give to manicurist,makeup artist or the glam ladies in your world! Ask for IVA she’ll hook you up. The famous Wardroom in Jacksonville Florida has a unique made only for JACKSONVILLE collection of guest towels,china and Christmas ornaments.The gift of LOCAL you’ve gotta see. Entertaining has never looked so good!Nor made you look so good Jacksonville! If you want to start your holiday shopping for Hanukah and or Christmas or looking for stocking stuffers… We have what you need!So have FUN and shop on! 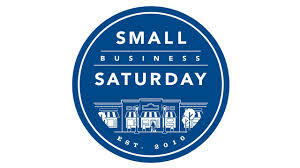 All these business owners including me welcome you to our door on Shop Small Saturday November 30th,2013. Happy Holidays!To see todays segment with me go to http://www.news4jax.com later this morning. The show has to air live before it is saved and then on their website. See you on the Morning Show. Are you HOT AS HELL Ladies? You can be too! These cool fashion statements are gorgeous for the neck or wrists and come in a variety of shades and sizes. Wear them at the beach, at a pool party,picnic or make a fashion statement while jogging! You don’t have to be hot flashing to enjoy the cooling and beautfiul benefits of Hot Girls Pearls! Take it from this NEW YORKER living in steamy hot Florida. I am so excited to share with you what I am featuring on TV today on WJXT-4 The Morning Show. I know it’s not always easy to find the perfect gift! So, I have made it easy for you! Unique and FUN gifts for HIM and HER on Valentines day! *SPECIAL deal for Channel 4 Viewers! Blend Parfum Studio For HER or HIMhttp://www.blendparfumstudio.comTo place your order for a custom perfume named after you & More! http://www.hotgirlspearls.com Pearls for the girl who has everything BUT! All things LIPS that won’t land on her hips! If you want to learn more! CALL I encourage you to call these companies who would love to share with you all they do. Just in time for Valentines or anytime of the year. I will tell you next blog my step-by-step experience in creating my very own perfume and I got to name it too~ What fun and I am the only one who can BUY IT…it was made for me! Then I’ll tell you all about how I got the special custom wine bottle made AND more.